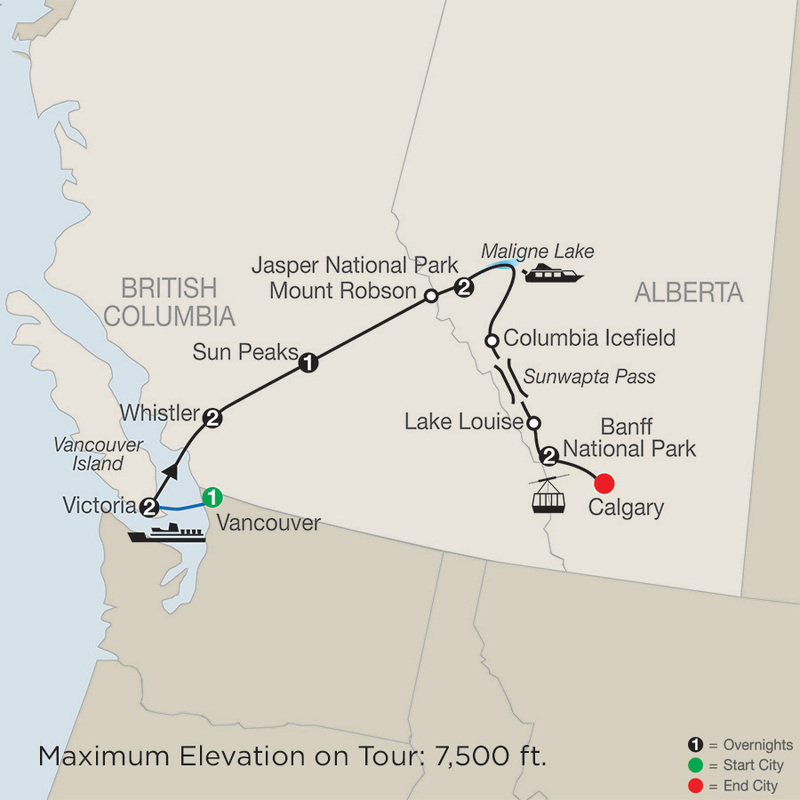 From the rocky shores of the Pacific Ocean to the soaring peaks of the Rockies…from verdant vineyards to epoch-spanning icefields…from stunning national parks to bustling cosmopolitan cities, Western Canada has so much to offer! This is home to some of the world’s most majestic landscapes and inspirational Old World resorts. 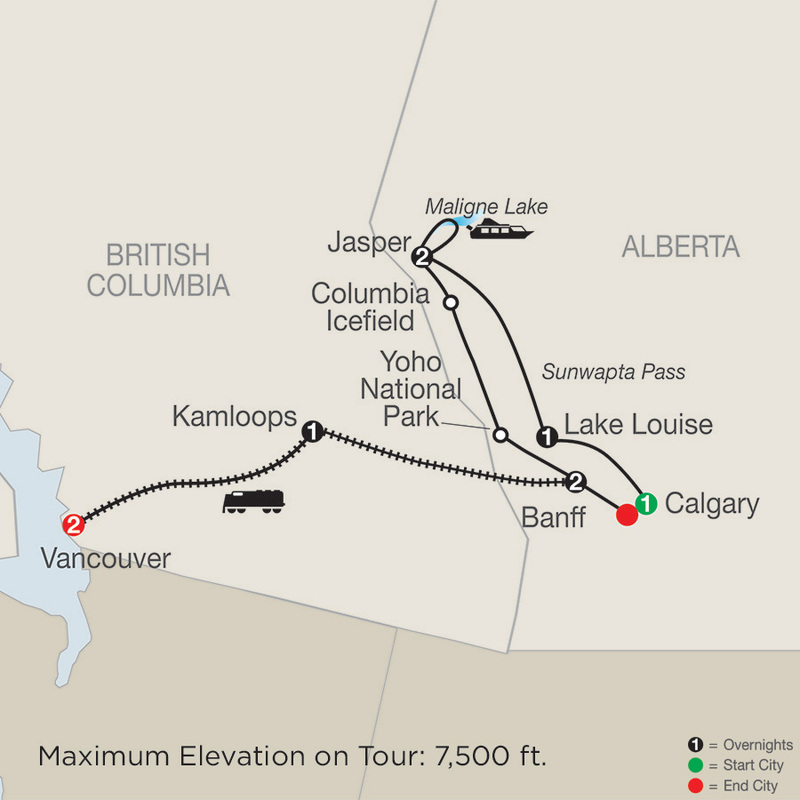 Spend time in Banff, the scenic heart of the Canadian Rockies. 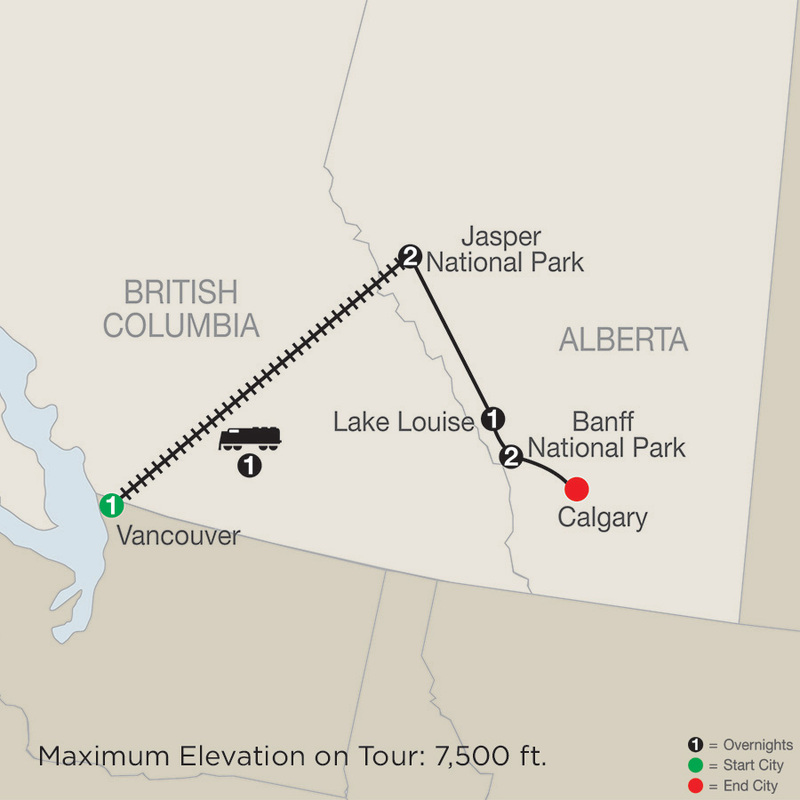 Ride a gondola up Sulphur Mountain for a bird’s-eye view of more mountains in a moment than most people see in a lifetime. 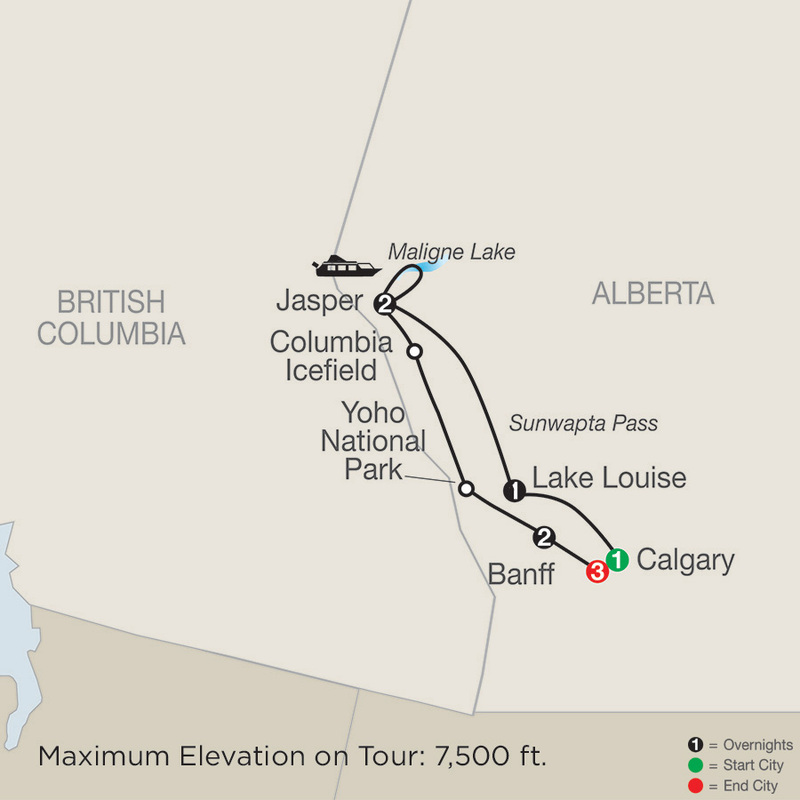 Follow Icefield Parkway to Jasper National Park and extraordinary Lake Louise. 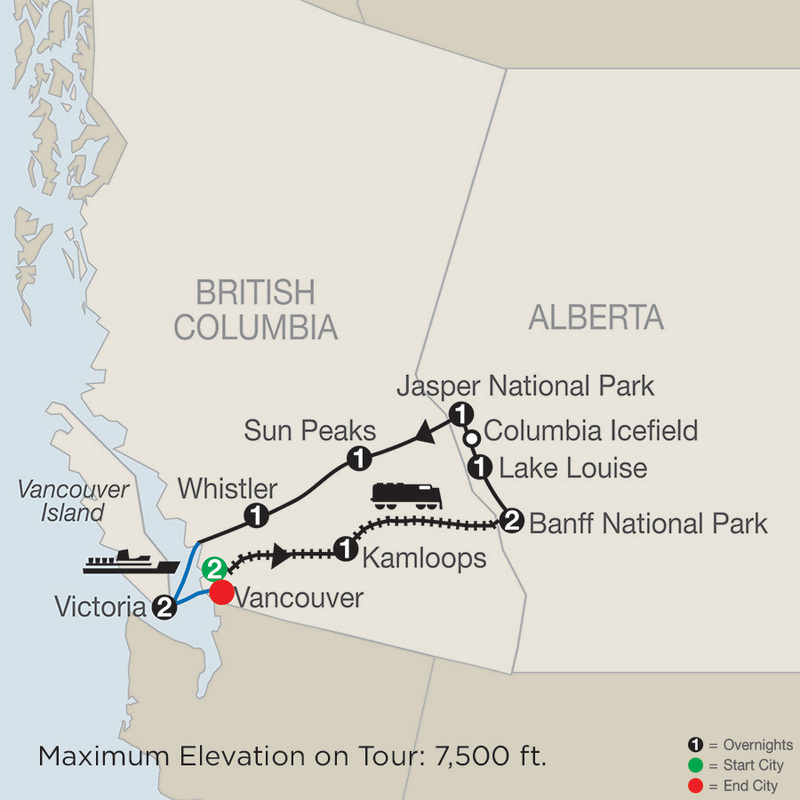 Stay in the alpine resort of Whistler before catching a ferry to Vancouver Island to explore Chinatown, the waterfront, and Stanley Park with its impressive collection of totem poles. 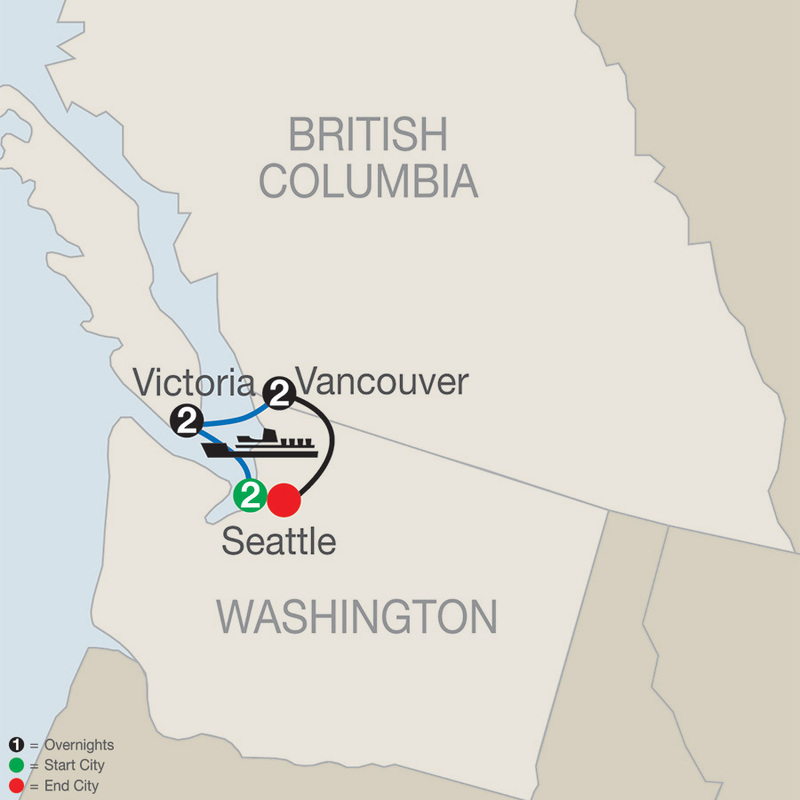 In charming “British” Victoria, maybe go whale watching or marvel at world-famous Butchart Gardens. 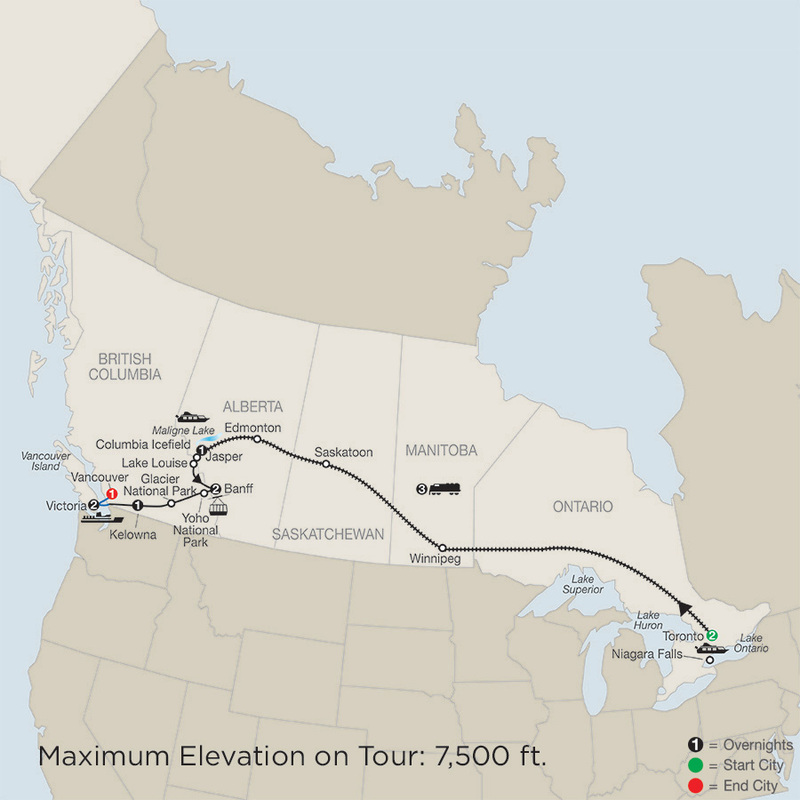 And a Globus tour through Western Canada also includes unique experiences and encounters you’ll never forget—like a special breakfast at the Squamish Lil’wat Cultural Centre in Whistler or an educational Breakfast with the Bears on Grouse Mountain near Vancouver. 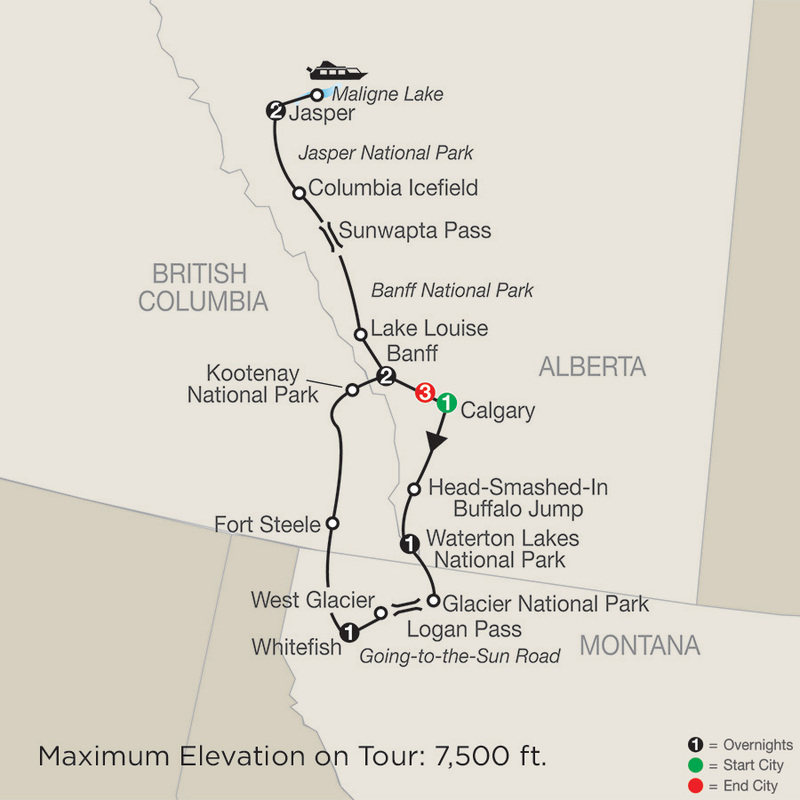 On this Calgary Stampede tour, enter a world of Wild West excitement as you sample chuck wagon fare and watch rodeo action in Calgary. 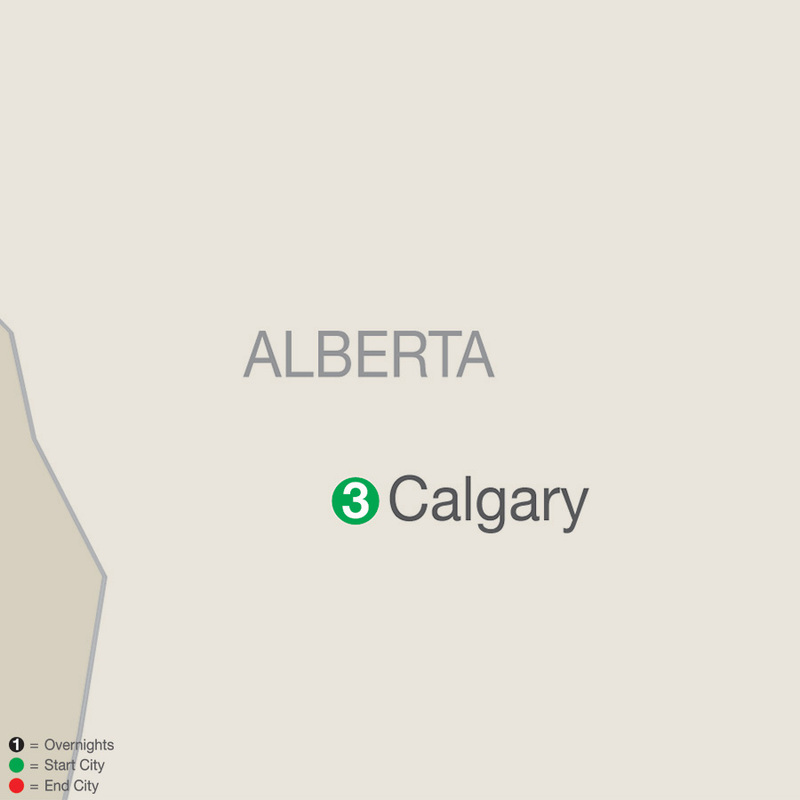 Two days admission to the Calgary Stampede; heart-stopping chuck wagon races; an outdoor stage show with singers, dancers, and musicians; a ...Read More. Experience vibrant cities, beautiful scenery, and fun experiences on this Pacific Northwest tour featuring Seattle, Victoria, and Vancouver. 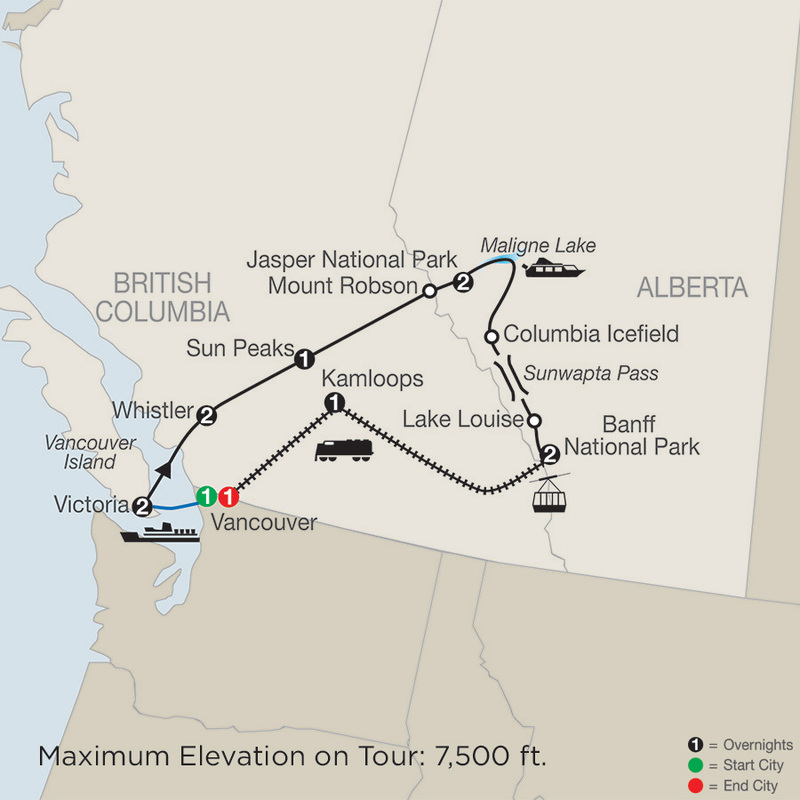 You'll enjoy two nights each in Seattle, Victoria, and Vancouver, along with sightseeing and free time in each city. Highlights of this ...Read More. 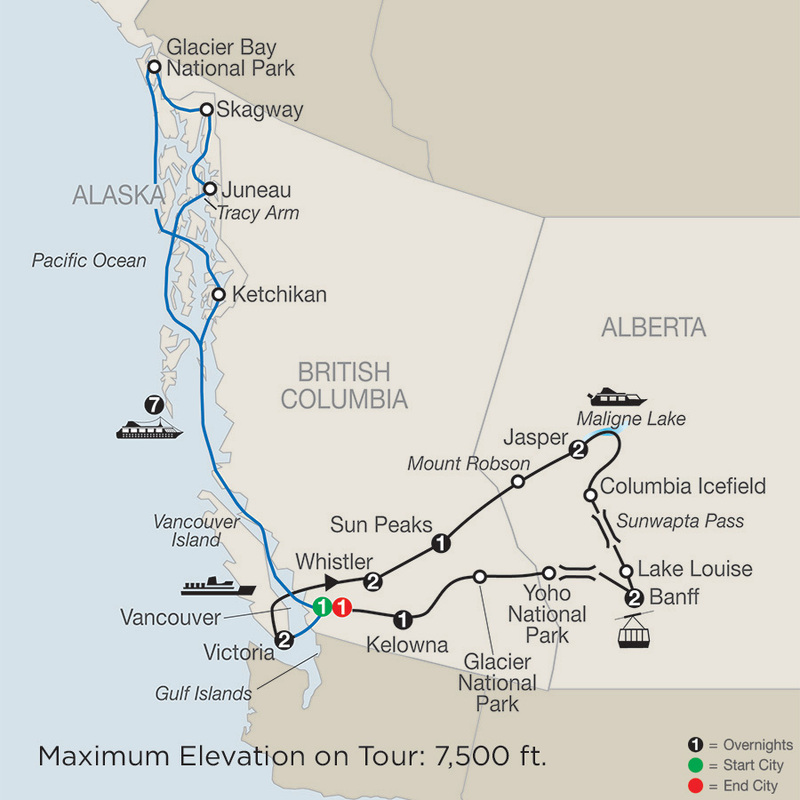 Experience vibrant cities, beautiful scenery, and fun experiences on this tour featuring Seattle, Victoria, Vancouver, and an Alaska cruise. 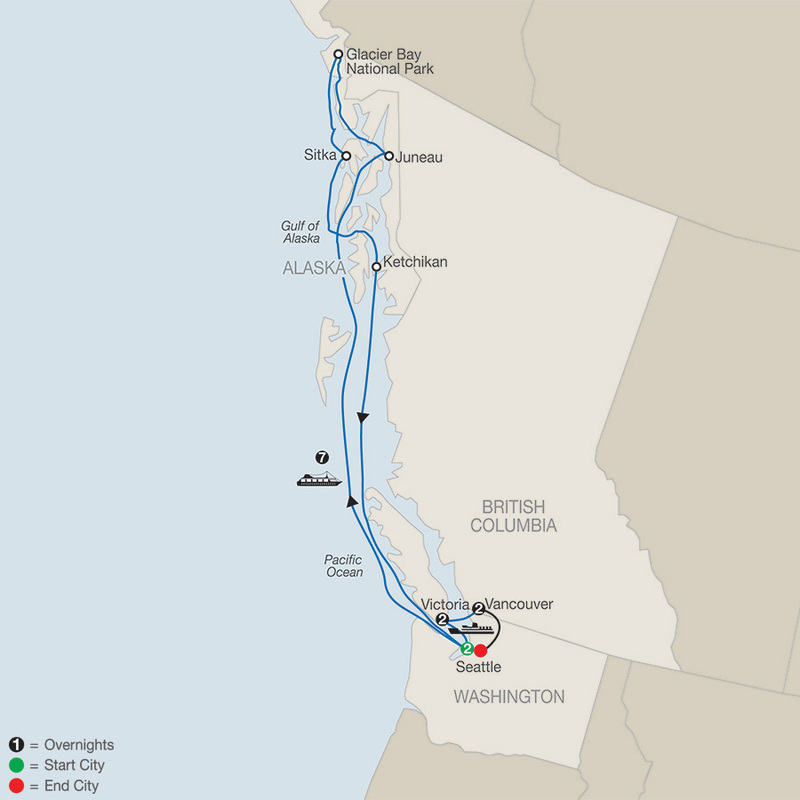 Enjoy two nights each in Seattle, Victoria, and Vancouver —along with sightseeing and free time in each city—and seven nights on your ...Read More. 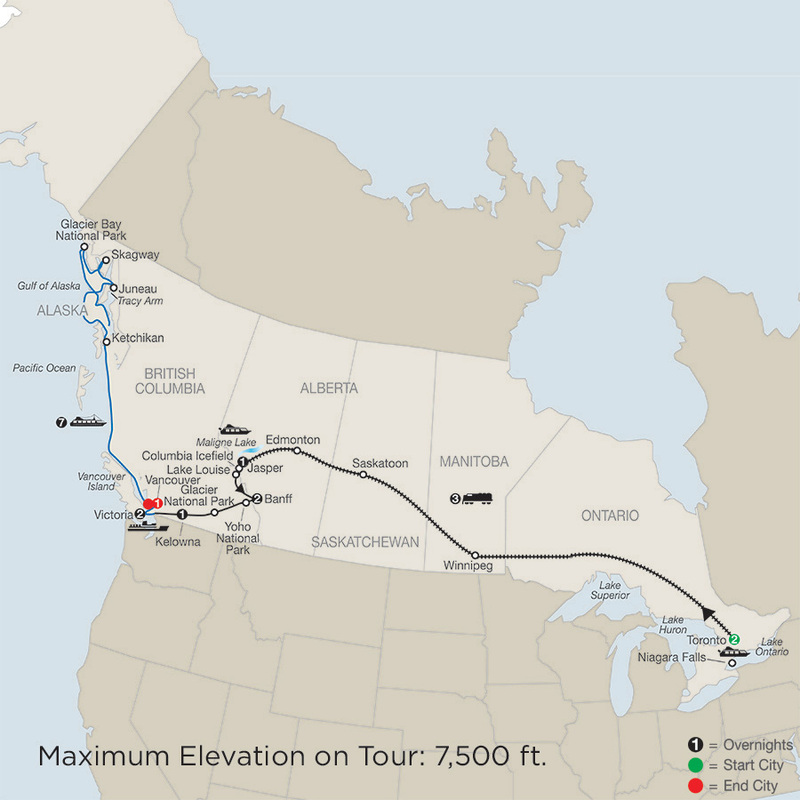 On this Canadian Rockies tour, enjoy time in many of Canada’s most scenic areas as you travel through some of its national parks and mountain towns. 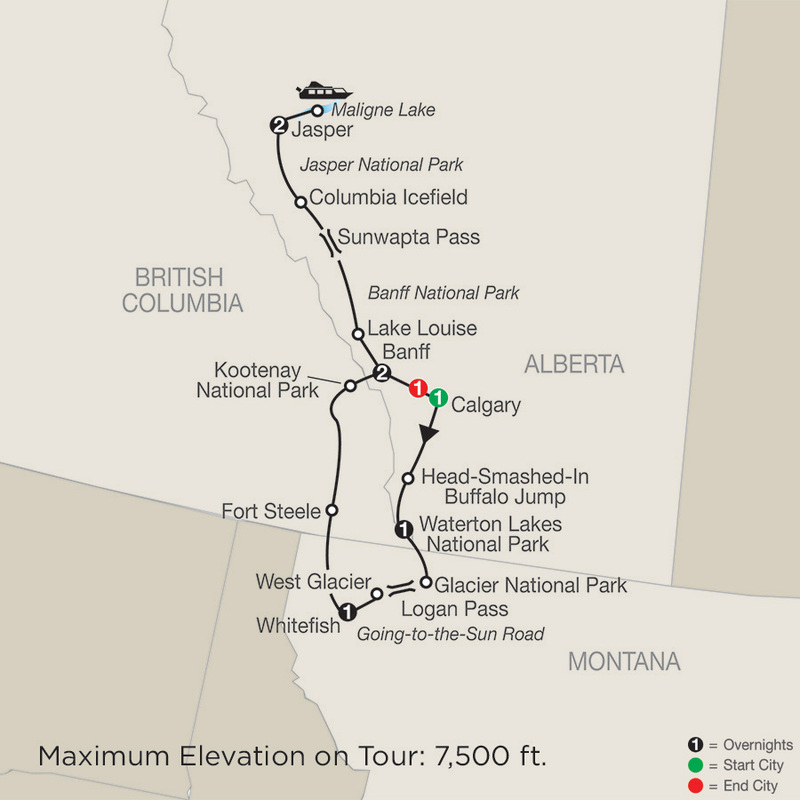 Spend time in beautiful Banff National Park, Jasper National Park, Whistler, Sun Peaks, Victoria, Vancouver, and Kelowna, located ...Read More. 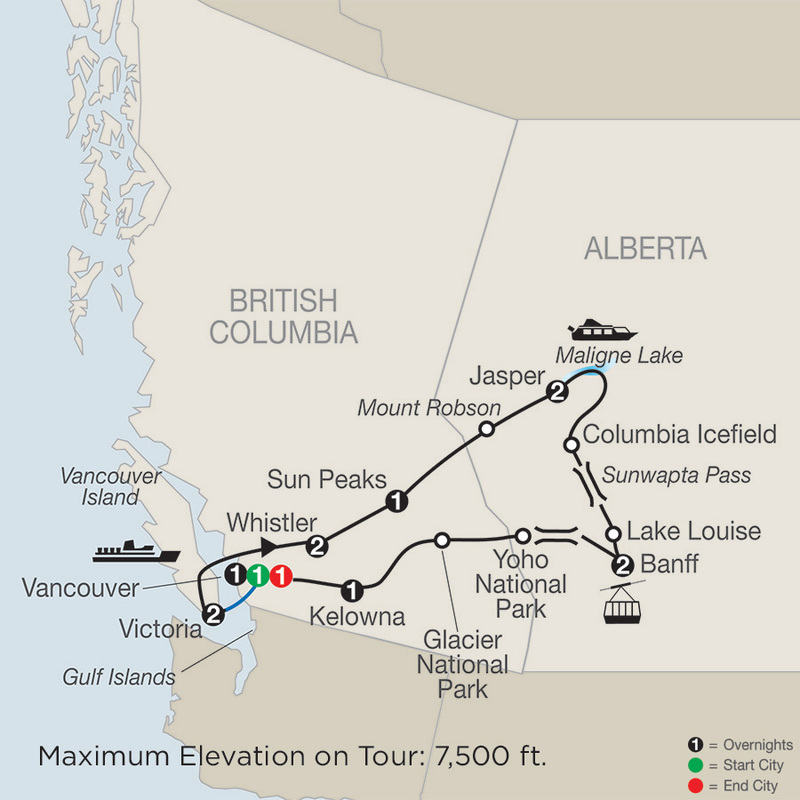 On this Canadian Rockies tour—with an Alaska cruise—enjoy time in many of Canada’s most scenic areas as you travel through some of its national parks and mountain towns. 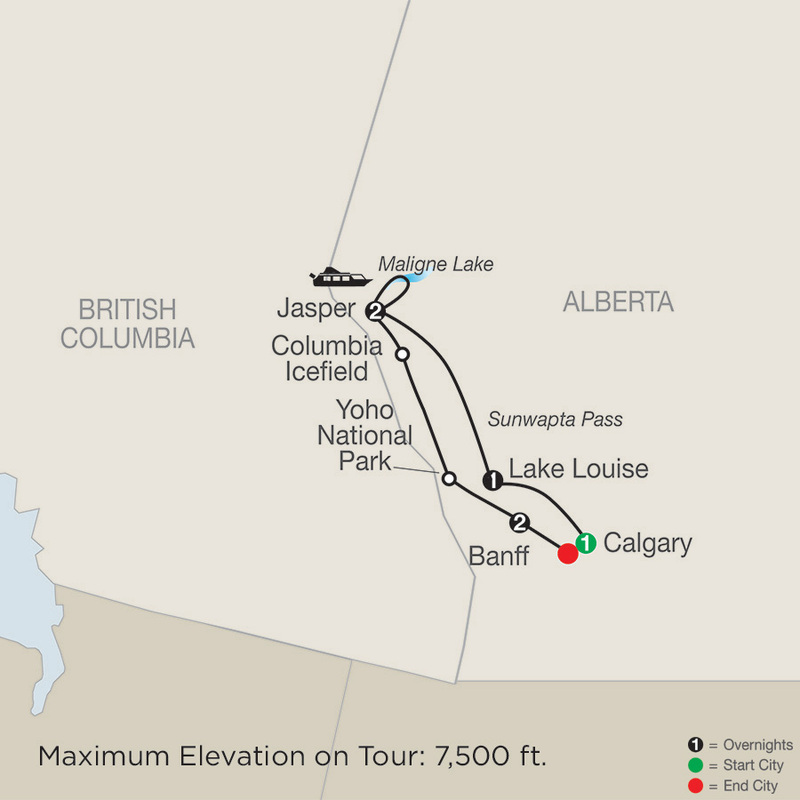 Spend time in beautiful Banff National Park, Jasper National Park, Whistler, Sun Peaks, Victoria, Vancouver, ...Read More.